Brazil's surprise move to privatize Centrais Eletricas Brasileiras SA (ELET5.SA) sent the utility's shares soaring nearly 50 percent on Tuesday as investors bet the plan augured further moves to loosen the government's grip on the economy. The transaction should be concluded by mid-2018 and could involve the sale of new stock to help replenish the capital of Eletrobras, as the holding company is known, Mines and Energy Minister Fernando Coelho Filho told Reuters. While the plan involves the end of federal government voting control at Eletrobras, it remains to be decided how much of its 51-percent voting stake will be sold and how, deputy Finance Minister Eduardo Guardia said. Proceeds should help cut the deficit, he said, noting the plan could also bring recurring revenue under certain conditions. President Michel Temer has rushed to sell state assets and shrink the size of Brazil's government before leaving office in December 2018. Investors cheered his efforts to reduce state meddling in an economy hobbled by a three-year recession, lifting the benchmark Bovespa stock index .BVSP on Tuesday past 70,000 points for the first time in almost seven years. Common shares in Eletrobras (ELET3.SA) closed 49 percent higher on Tuesday, their biggest daily gain in more than 24 years, boosting the company's market value by almost 9 billion reais ($2.8 billion). Class B preferred shares (ELET6.SA), the company's most widely traded class of stock, rose 32 percent - the biggest jump since January 1999. American depositary receipts EBR.N, which trade in tandem with common shares, rose 49 percent in New York. The plan comes as Chief Executive Officer Wilson Ferreira Jr's turnaround has taken longer than expected because of years of mismanagement at Eletrobras and massive operational losses between 2012 and 2015. "The overall perception is that the company can finally free itself from state control and that it will adopt meritocracy and negotiate better terms with suppliers," Ferreira told Reuters on Tuesday. Rivals, including the Brazilian units of EDP Energias de Portugal SA (EDP.LS) and Engie SA (ENGIE.PA), said industry players will remain attentive to terms of the transaction, noting that they would be interested in some Eletrobras assets. "Our duty is to analyze all the opportunities that this transaction could bring about," EDP Chief Executive Officer Miguel Setas told reporters in São Paulo. Investors said the Eletrobras plan stoked optimism that Temer remains committed to shrinking the role of the state in the economy, regardless of political resistance to his administration. "This could be extended to other state firms, which is good for fiscal and market reasons," said Victor Carvalho, a partner at fund manager LAIC-HFM in São Paulo. According to Coelho Filho, Eletrobras's privatization could raise up to 20 billion reais. The federal government will remain a shareholder and reserve the right to veto some strategic decisions. Analysts said that, while the privatization plan faces legal challenges and potential opposition from opposition parties, civil servants and trade unions, it could benefit the industry by luring long-term investment, and enhance transparency in a sector long hobbled by inefficiency and corruption. "Eletrobras has historically operated under the political influence of various political figures who may not be so enthusiastic about the company's privatization," analysts at Itaú BBA wrote in a client note. The rally on the Bovespa index was bolstered by state-controlled Banco do Brasil SA (BBAS3.SA) and Petróleo Brasileiro SA (PETR4.SA) - which rose as much as 4.4 percent and 3.4 percent, respectively. Other state power firms also surged, with debt-laden Cia Energetica de Minas Gerais SA (CMIG4.SA) adding 8.5 percent. The company, known as Cemig, is selling assets to repay 4 billion reais in debt due over the next year. The Mining and Energy Ministry compared the Eletrobras proposal to the examples of planemaker Embraer SA (EMBR3.SA) and miner Vale SA (VALE5.SA), where government influence evaporated in 2006 and this year, respectively. Yet for many Brazilians, earlier privatizations in the 1990s were marred by allegations of mismanagement. The subject remains politically fraught even as the government has put airports, highways and ports up for sale in recent years. A protest briefly interrupted the government news conference on Tuesday, highlighting likely resistance from Brazil's opposition parties and powerful unions. Ferreira sought to allay concerns spread by Temer's opponents that the Eletrobras plan could put power supply in Brazil at risk. The decision to privatize Eletrobras could have negative implications for the company's debt ratings because the process introduces uncertainty over state support, Moody's analyst Cristiane Spercel said in a Tuesday note. The proposal will be formally presented to the council of the government's Investment Partnership Program on Wednesday. As part of the privatization process, Eletrobras may spin off a nuclear power unit and the Itaipu hydroelectric dam, a joint venture with Paraguay. The privatization could generate at least 40 billion reais in value for Eletrobras through cost-cutting and downsizing, the Itaú analysts said. 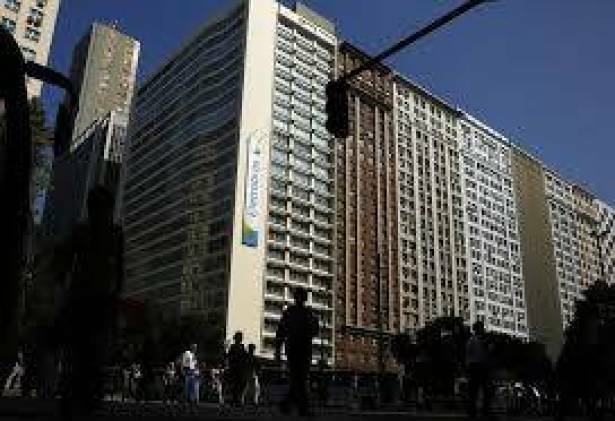 The value of Eletrobras' equity stood at 31 billion reais at the end of May. Brazil's federal government owns 51 percent voting shares, equal to 41 percent of the company's equity. State development bank BNDES also owns about 20 percent of common shares and 14 percent of preferred shares. Coelho said the plan will not allow a single group or investor to hold big Eletrobras stakes. "We will create a series of rules to democratize capital of the company, possibly limiting the maximum stake per investor," he told Reuters.